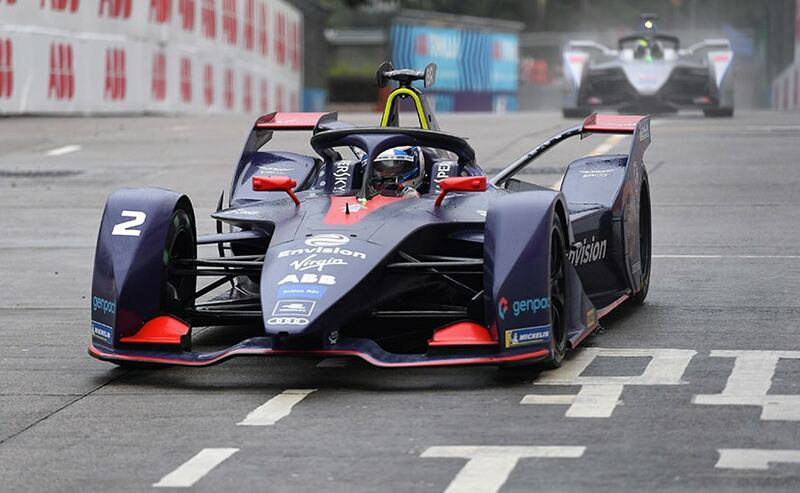 Virgin Racing's Sam Bird won the dramatic Hong Kong ePrix but is currently under investigation for making contact with Andre Lotterer. Both Mahindra Racing drivers, meanwhile, crashed early in the race which cost Jerome d'Ambrosio the championship lead. 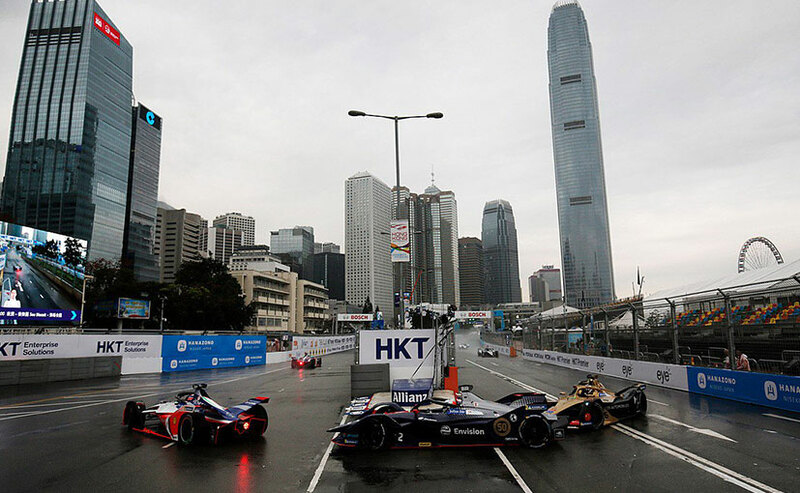 The 2019 Hong Kong ePrix ended amidst much drama as Virgin Racing's Sam Bird secured the first place at the end of the race. Bird, however, is being investigated by the stewards for a late contact with long time leader Andre Lotterer of DS Techeetah with the results being provisional. The incident pushed Lotterer down to 14th, while Edoardo Mortara of Team Venturi finished second. The last place on the podium was taken by team Abt's Lucas di Grassi. It was a disappointing day for the only Indian team Mahindra Racing as both its drivers saw an early retirement from the the fifth race of the 2018-19 Formula E championship. The race started with Stoffel Vandoorne in the lead but Bird was quick to move up to the top order having started seventh. Sam was quick to pass Vandoorne on the second lap held on to the position till Lap 8 before sliding deep at turn 2 on the damp street circuit. The incident allowed Lotterer to move into the top spot who was tailing Bird and went on to become the race leader until the penultimate lap. Both Bird and Lotterer were engaged in a duel for P1 through the race with the former building pressure as the chequered flag was closer. On the second last lap, Bird nudged Lotterer's rear tyre which faced a puncture as both drivers approached the final lap of the race. The incident pushed Lotterer to the back of the order eventually crossing the finish line in 14th place. Bird's victory though remains under investigation for the contact with Lotterer. The Hong Kong ePrix saw number of yellow flags through the race with the most significant being the one that took out both Mahindra cars. The first yellow flags came out with Dragon Racing's Felipe Nasr crashing into the barrier at Turn 2, and was stricken by both Pascal Wehrlein and teammate Jerome d'Ambrosio who were following closely. Both drivers faced suspension damage as a result pushing them out of the race. The crash did cost d'Ambrosio his championship lead with Bird's victory pushing him down to second with 53 points as against the former's 71 points. Completing the race in fourth place was Virgin Racing's Robin Frijns, while Daniel Abt took fifth ahead of Venturi's Felipe Massa. Jaguar's Mitch Evans finished sixth followed by HWA AG's Gary Paffett with Olivier Turvey of NIO Formula E team in ninth place. Andretti Autosport's Felix Da Costa took the last point finishing in tenth place. Techeetah's Jean-Eric Vergne finished 13th after a near crash early in the race, behind Jose Maria Lopez of Dragon Racing who took 11th and Tom Dillmann of NIO, with whom Vergne made contact and was handed a 5-second penalty. Apart from Nasr and Mahindra drivers, other non-finishers in the Hong Kong ePrix included Sebastien Buemi and Alexander Sims who retired in the pits and crashing into the wall at Turn 5, while Nelson Piquet Jr. stopped at the end of the first lap due to damage to his front suspension.